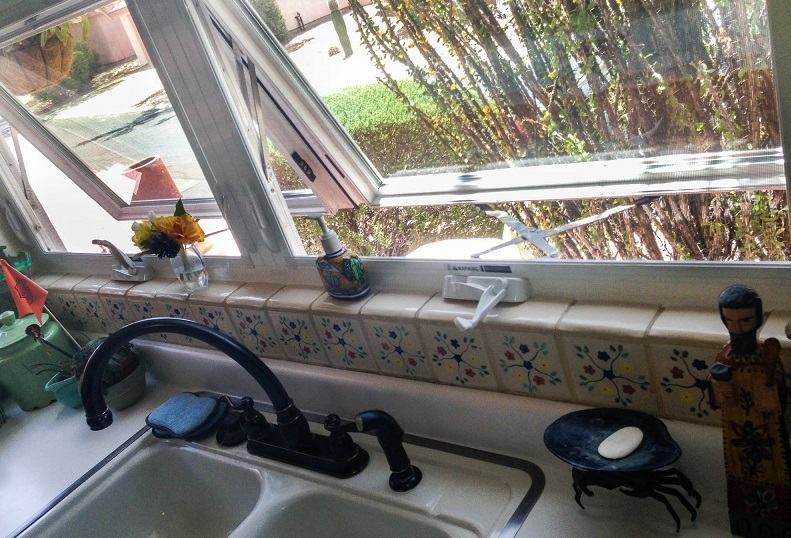 Awning windows are basically casement windows turned on their side. They open from the bottom and swing outward. Because they form an awning when open, these windows can be opened even in a rainstorm for ventilation. Often an awning window is placed in a hard to reach area like over a sink since they are easily opened with a hand crank at eye level. We carry several unique material and design choices in awning windows. Call us for a free quote at: 717-733-7534.